The installation is not included with the purchase of the template. If you are having trouble with the process, I can help by email. If you would like me to install, you need to purchase this item on etsy. You have my support all the time using a theme made by me. It includes: resolution of errors on theme itself and answers to your questions. Does not include: customizations, addition of extra widgets and resolution of errors originated by the edition of the code by you or by third parties. Never change your theme code in your main blog, all changes must be made before on a test blog. If a change you make on your own does not set the theme, maybe I can help, but there are no guarantees. I'm not responsible for backups of your blog. Back up regularly to not lost your content. Blogger automatically saves the contents of your widgets, that's why I recommend that the installation and configuration of the widgets is done previously on a test blog. Done that way, when you install the theme on your main blog, the theme is already set up with your personal information. You can not resell or share the theme or any part of it. You can not modify or remove the credits. 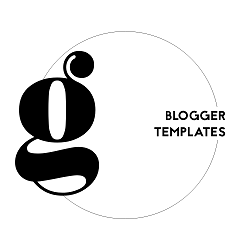 You can only use the template on your main blog and on one blog of tests. Refunds or cancellations are not allowed due to the digital nature of the products, unless you accidentally purchase a theme twice. Please make sure what you are buying. The templates will be updated whenever there is a need to fix bugs or update technologies used in development. You don't have to buy again to get the updated file, just contact me and I will send you a copy. If you have any question not answered here, send to me by contact page.